Your organization�s security and identification requirements are unique to your individual specifications, and the ID card printer you decide to choose needs to be up to the task or meeting or exceeding those expectations and specifications. 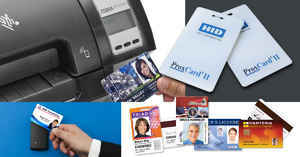 So how do you narrow down your choices from the myriad of ID card printer systems available today? Your answers to the following 3 questions will provide you with a guide to choose the best option to meet your needs. What volume of cards are you printing? Or in other words, how many cards a day do you anticipate printing? If it�s just a few, say less than 100 cards a day, you can choose a value or economical printer that won�t have all of the bells and whistles of higher priced models, but still reliably prints what you need for your ID card purposes. Other models that are a step up from this range can typically handle 100 to 500 cards per day, and also allow for more options like dual side and color printing. Finally, there are premium systems for applications needing more than 500 cards per day with high security requirements. 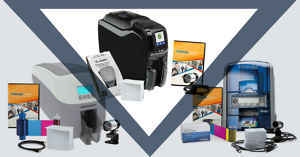 And at the pinnacle of the ID card printer systems are the enterprise solutions that are the most reliable, high performance ID card printers on the market. 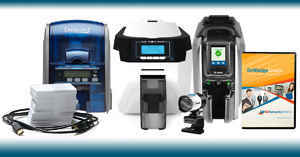 These industrial printers can handle laborious and demanding printing volumes and environments. What features are important to your application? Next you need to determine what features you need to ensure that the system you choose can meet or exceed your requirements for ID cards. Consider if you need single or double-sided printing. If you plan on using both sides of your ID card for information and security purposes, you�ll need to choose a printer with a double-sided option. Are you printing in full color or monochrome? If you want full color cards, you�ll need to select a printer that can print them. Finally, do you want encoding on your cards? This includes magnetic stripes, bar codes, QR codes, or other ID card technology that lets you add information and store data on your cards. If you plan on having your ID cards scanned, you�ll need to choose a printer with an encoder option to let you add that functionality. What do you need in quality and durability? If you need a highly professional, quality ID card that represents your company in the best possible light, you might choose a reverse transfer printer over a direct-to-card printer. Re-transfer printers print over the entire card, edge-to-edge, while direct-to-card printers leave a white border around the cards. 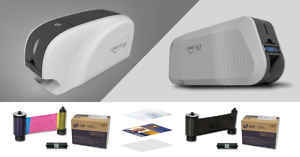 And if durability is very important, consider an ID card printer with a laminating module that laminates your ID cards as part of the printing process. This will greatly increase the life span of your ID cards. With the answers to these questions firmly in hand, pick up the phone and call IDSecurityOnline. Our experts have helped hundreds of satisfied customers find just the right solution for their security requirements, design specifications, and their budget. Your answers to the above three questions and our expertise in security, design, and budgetary considerations combine to create a comprehensive solution that will meet your current needs and your future wants and desires, all within your budget. In fact, we have the best prices�guaranteed. The IDSecurityOnline price guarantee means you�ll never pay too much when you choose IDSecurityOnline for all your ID card printing needs. 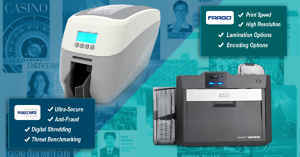 Call one of our experts today, and let us help you find the perfect ID card printing solution.